This level have normal difficulty and you need to use good trick to complete this level. 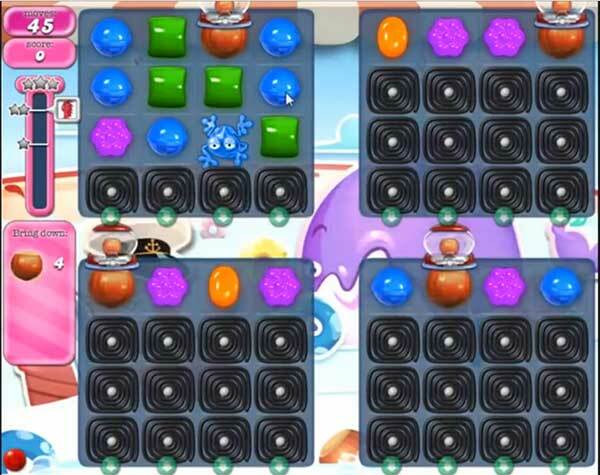 For this level you should combine same color candy with frog and after you combine frog with few candies take him near to blockers to break them. Try to play near to ingredients or to the bottom to take them to the bottom fast. I M having trouble trying to figure out how to move the frog from se toon to section. Can you explain this?